Happy New Year! Happy 2017! Last year when I was pregnant over the holiday season, I didn’t feel guilty eating everything and anything I wanted, including all sweets! This year is a different story! So just like many others out there after the Holidays have passed, I want to start eating healthy again. Goodbye to anisette cookies, chocolate layer bars, and panettone bread (some of my favorite Christmas sweets!). 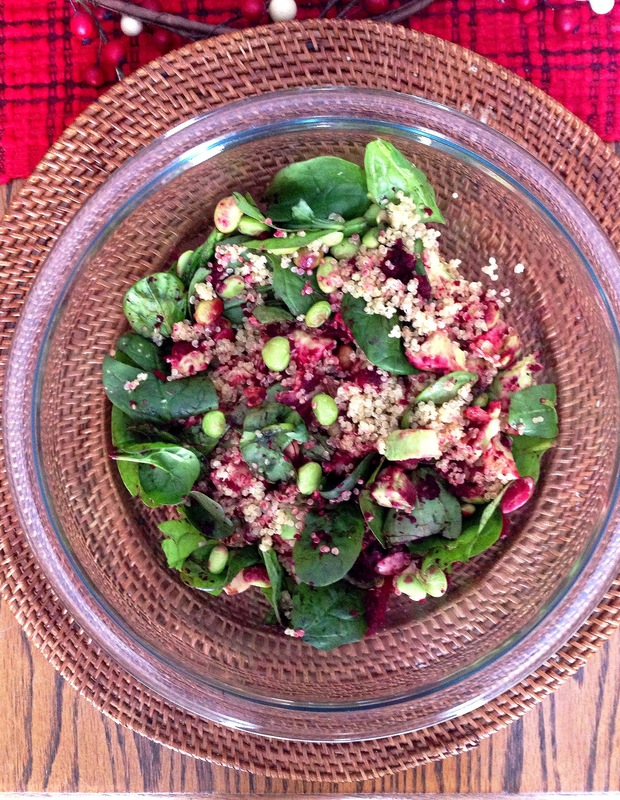 This recipe is super packed with superfoods! For Christmas I got a new cookbook and a new spirilizer, so I decided right away to test them both out. This recipe was inspired by Inspiralized, Turn Vegetables into Healthy Creative, Satisfying Meals, by Ali Mafucci.